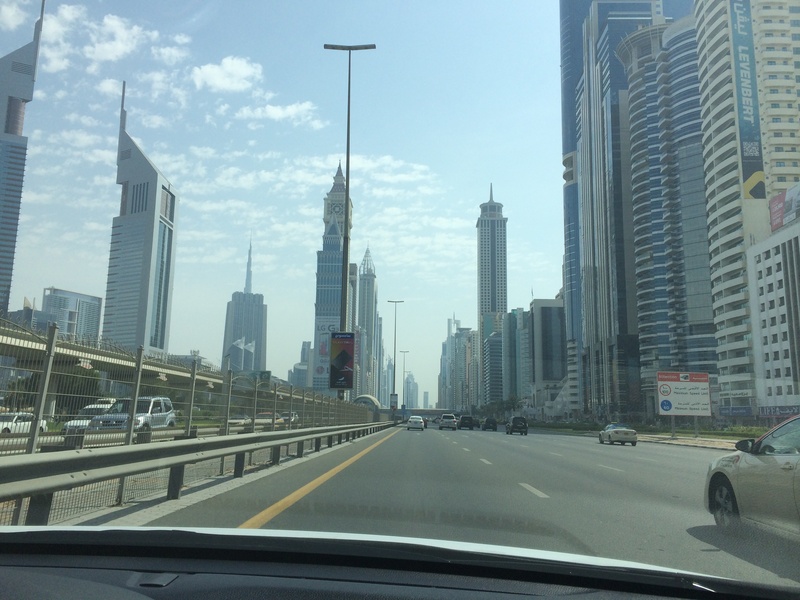 Because there were no heavy traffic jams in Dubai last Friday! That meant I finally found the courage to sit in front of the steering wheel again! To tell you the truth, I avoid driving not because I’m not confident with my driving skills. It’s actually because I feel tensed and pressured whenever I drive alongside Dubai motorists. Why? Because some are IMPATIENT and INCONSIDERATE! 2. Drivers who stop in the middle of a busy street. Oh, don’t think for a second that they stopped because they have an emergency. Dear folks, these drivers carelessly block traffic just because they want a cup of tea! Yes, you read it right. This country surely spoils its people. Tsk. Need a drink but too lazy to park your car and walk to the nearby cafeteria? Good news, all you have to do is stop in the middle of a two-way street, blow your horn nonstop until the poor café staff approaches you. (If you’re lazy, don’t put your hazard lights on so drivers behind will remain clueless) Then give the guy your one dirham and viola, your tea will come to you! Never mind the road you just blocked and the cars behind you. They will eventually give up waiting and use the other lane which will cause more traffic, worse, a head-on collision. All just because you wanted your tea! 3. Multi-tasking drivers. When I say multi-tasking, I mean drivers who text, email, or check their FB news feed while driving on a 100-120km/h highway. Don’t worry, they can easily be identified. Just spot a slow-moving vehicle which constantly swerves to it’s left or right. More than 50% of the time you will see that the driver is looking at his phone! See, if what they are doing is really urgent, they should have done it before they hit the road. Or at least wait until they find a place where they can stop over and then finish their business. Please be aware that it’s not even advisable to check our phones while waiting before a stoplight. 4. Drivers with unrestricted children. I actually have some photos to prove this but I don’t want to go to jail for posting them here. hehe. So just picture a small car with the driver, his wife and a baby on her lap. Of course, only the adults can be strapped with seatbelts while the poor innocent baby doesn’t have any means of protection. It doesn’t end there though. At the back, there are two unstrapped kids on each side occasionally peeking their heads & waving their hands out the slightly opened window. What a terrible sight! These oblivious parents seem clueless on how much danger they’re exposing their children to. tsk. 5. Drivers who use their headlight flashers as if those are Christmas lights. See, if you don’t want to drive faster than the speed limit of any highway, then I suggest you to not use the left-most/fast lane. Because here, it is common to be flashed at even if you are already driving by the maximum limit. These impatient drivers are either rich enough or invisible to not mind the speed radars. lol! 6. Drivers who honk like there’s no tomorrow. I am actually partly guilty of this. Because I am a nervous driver, I tend to sound the horn more than its intended use. Sometimes when a car abruptly appears in front of me, or a pedestrian suddenly crosses the street, my fingers voluntarily move as if they have a life of their own. hehehe. But seriously, as much as we can, let us be more patient and avoid noise pollution. At least while on the road, people can achieve a short moment of peace and quiet before they reach their workplace/home. As for me, I will try to drive more often to make the most out of my license. I don’t want to waste the opportunity to explore the UAE just because I’m intimidated by these irresponsible motorists. Here’s to safe journeys and many more exciting road trips! Posted in 100 Days Challenge, Driving, Dubai, Lessons, random thoughts, UAETagged 100 days challenge, Driving in Dubai, Dubai accidents, Dubai Drivers, Dubai Driving, Dubai roads, Dubai Sheikh Zayed Road, Dubai traffic, How to drive safely in Dubai, RTA Dubai, Speeding in DubaiBookmark the permalink.